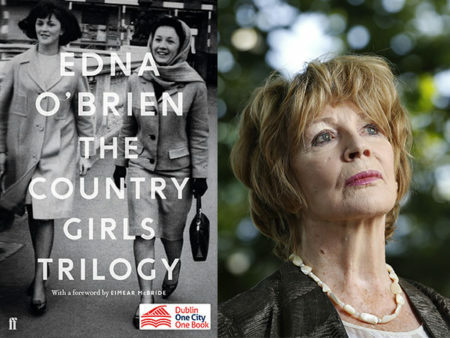 In Edna O’Brien’s birth county of Clare, library members are encouraged to read The Country Girls Trilogy to tie in with this year’s Dublin One City One Book Festival. Library book clubs will read the book this April, and it will be the choice for the monthly Radio Book Club on the Morning Focus show on Clare FM. 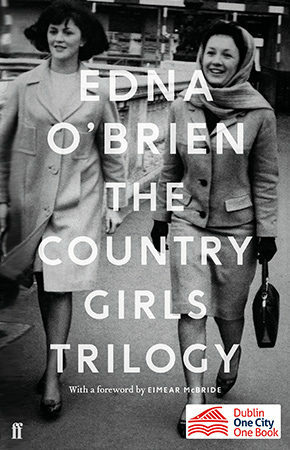 For the month of April UCD Library will be highlighting The Country Girls Trilogy by Edna O’Brien as well as works related to the trilogy to tie in with this year’s Dublin One City One Book Festival. RTÉ Radio One’s The Book on One will feature readings from The Country Girls Trilogy nightly at 11.20pm from Monday to Thursday across the month of April, starting on Monday 8th April.